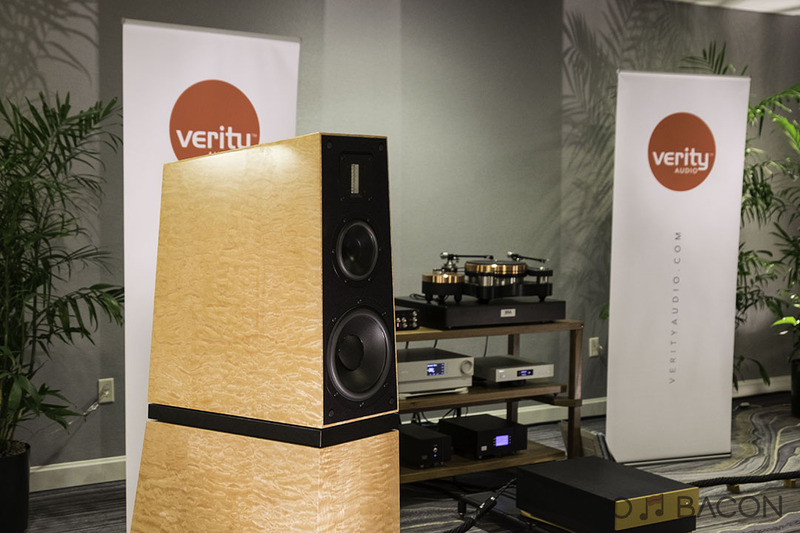 Verity Audio Lohengrin IIS speakers ($133,000) – No other system performed the disappearing speaker act better than Verity Audio. This system was only second to the Best of Show. Very natural sounding with incredibly accurate depth and imaging. Acoustic contours abound and the overall presentation is one of the most effortless of any system I’ve heard. Perfect timbre and amazing micro/macro dynamics. The only shortcoming for me was not having a warmer tone, but that’s a personal preference. Lumen White Kyara ($49,900/pair) – I thought they had the best sound at THE Show Newport 2016. Granted they were given one of the largest rooms at the show. I surmise this tiny room wouldn’t have done them any justice but I was blown away. Placed in a much tighter space, these loudspeakers weren’t fazed at all and performed beautifully. Amazing clarity, tactility, soundstage, and an eerie sense of realism. 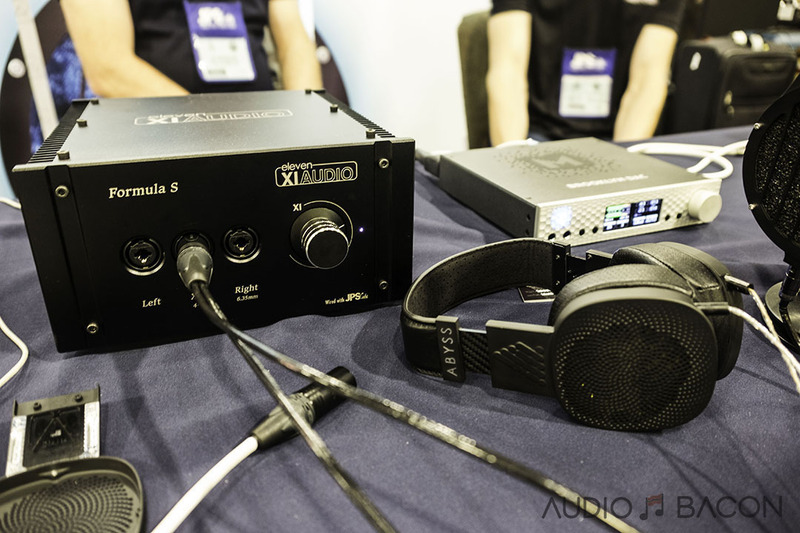 Pairs beautifully with the Ayon Audio Orthos XS Gen 4 mono-blocks. Raidho D-1.1 ($25,000/pair) – The musical textures from this speaker cannot be understated. It’s addictive. Aside from maybe the TAD Mico Evolution, the most amount of bass slam I’ve ever heard from a small speaker. 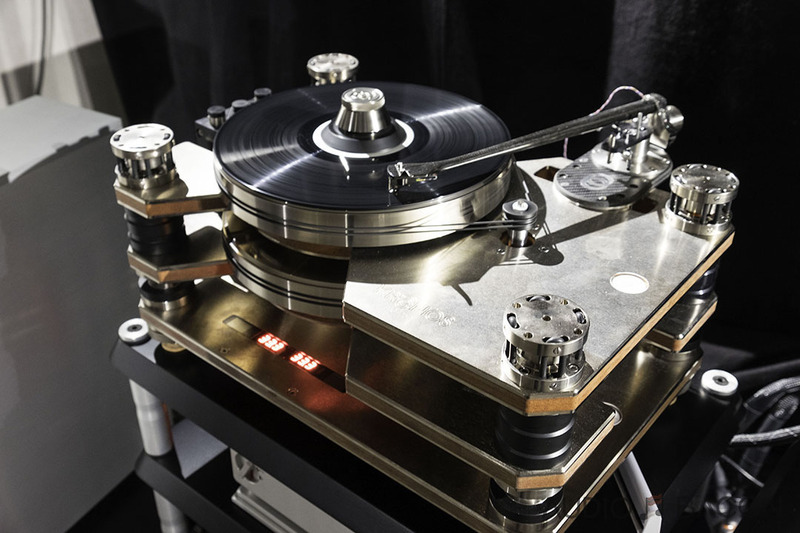 Tidal Akira – Standard black finish ($215,000/pair) – Paired with their electronics, it was easily one of the most liquid and emotive setups at the show. It was hard to believe everything was played off digital sources. Voxativ 9.87 ($34,900) – Possibly the most transparent, fastest, and quietest loudspeaker I heard at the show. Incredibly airy and focused. Aurum Cantus M-103SE speakers ($1,800) – I think these were the best value at the show. Not sure how they were able to pull that off as the craftsmanship and materials probably attribute to most of the cost. Spendor A4 ($3,195) – I’ve heard the Spendor A9 on a Moon rig and was impressed with the price/performance. The A4 is no different and paired very well with the Hugo 2 and Quicksilver amps. Elac Adante AF-61 ($5,000) – An obvious choice with a ton of hype. ZOTL10 Mk. II ($3,200) – Drove the DeVore Fidelity speakers beautifully. Super low noise floor, transparent, articulate, with a palpable top-end. 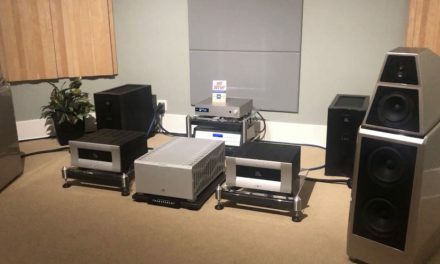 Constellation Audio Performance Centaur Mono monoblock ($54,000 each) – These amplifiers will manhandle any speaker out there. 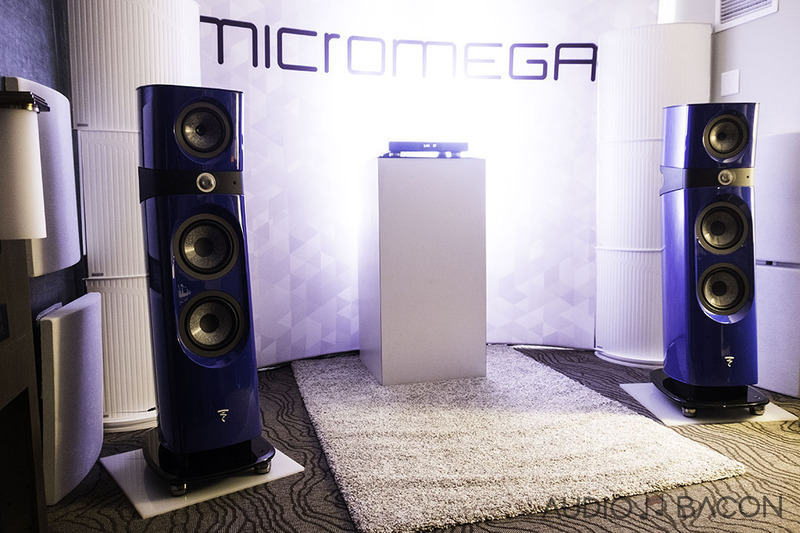 What it did with the Wilson Alexia Series-2 speakers was unspeakable. It’s been a while since I’ve been startled by sudden thumps of a kick-drum. Astell & Kern SP1000 ($3,499) – I’m amazed every time I hear this DAP. Clean, musical, and speedy. 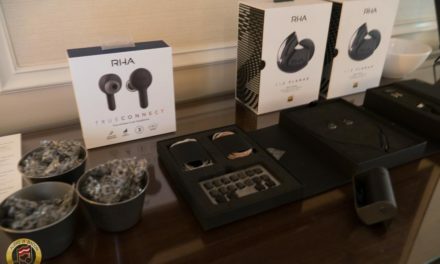 Abyss Diana ($2,999) – The Phi is as close as you could get to speakers and will probably remain on your desktop. The Diana is a conversation starter at a cafe. It’s gorgeous. It sounds open and effortless, very detailed, and provides a rhythmic and sweet listening experience. Focal Clear ($1,499) – It’s a no-brainer for the price. The Focal Utopia is still more resolving but you might have more fun with the Clear’s warmer tone. Mr. Speakers Aeon Flow Open ($799.99) – I much prefer this over the closed version. They didn’t simply remove the back of the cups but have redesigned some of the internals. Improved timbre, air, and clarity. We’ll be giving out only one award for RMAF this year. So there was a system that stood out with its incredible musical gestalt. I think I spent at least 30 minutes in this room. It might not have the top-end extension of some of the other setups but it sang to my core. A lot of that heightened shimmer and shine sounds artificial to me anyway. 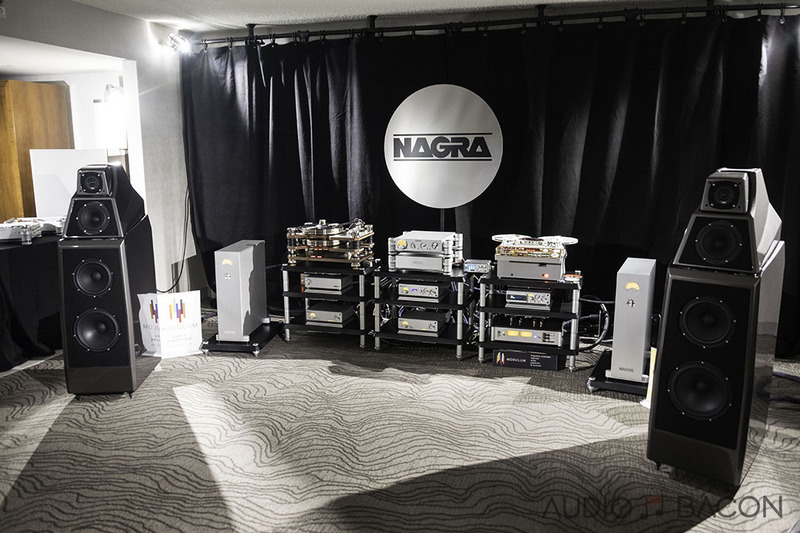 The Best of Show goes to the Nagra room with the Wilson Alexia Series-2 being the best sounding speakers at the show (including the Constellation room). Tracks were played via the Kronos Pro Turntable. Dean Martin’s vibrato is on full display on this system. Well-focused, detailed, and romantic. Timbre and tone on piano and bass are very natural sounding, much like an actual performance. You almost want to sing along with him until you realize you’re not Dean Martin but a Chinese guy who hasn’t sung a note since birth. One is able to visualize lip movements and air entering and leaving his body while maintaining perfect pitch. There’s a transparency, physicality, and organic presence that simply moves you. This track tends to sound a bit abrasive and congested on some systems. 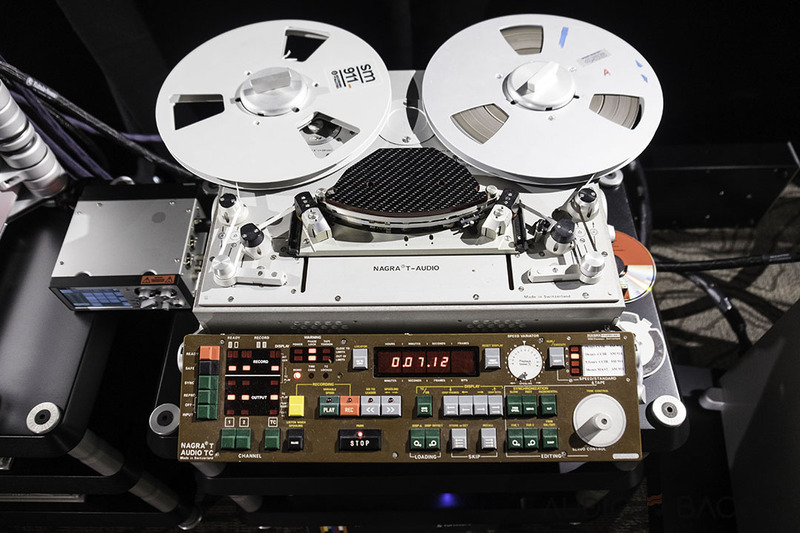 However, with the Wilsons and Nagra, accordions, guitars, congas, and singers each have their own acoustic space and free-reign around their own dynamic envelopes. Continuously engaging, exciting, and emotional throughout. There’s a sense of free space and infinite depth with this track. Accordion stretches display the dynamics-handling power of this system. The harmony between Edgar’s bass and Chris’s mandolin maintains its individualism and sonic contours while musically complementing each other. The hard strums during the first few seconds could be felt and perceived texturally in the room. This system exhibits amazing transient resolving capabilities, both performers’ finger-work, body movement, and energy could be envisioned without effort. There’s a density and blend of articulation that makes this track sound so damn incredible. There’s plenty of organic sonic dust on this track. Hank Jones plays the piano gently near the rear right side of the soundstage while Ben’s tenor saxophone harmonizes wistfully off-center to the left. The full-bodied and weighty bass plucks from George Duvivier makes listening so palpable and real. This highly resolving system was able to relay the exertion and air of all the performers in a very natural and compelling way. Hypnotic to say the least. My heart’s set on getting a pair of Wilson Audio Alexia Series-2 loudspeakers and some Nagra gear…when I win the lottery. 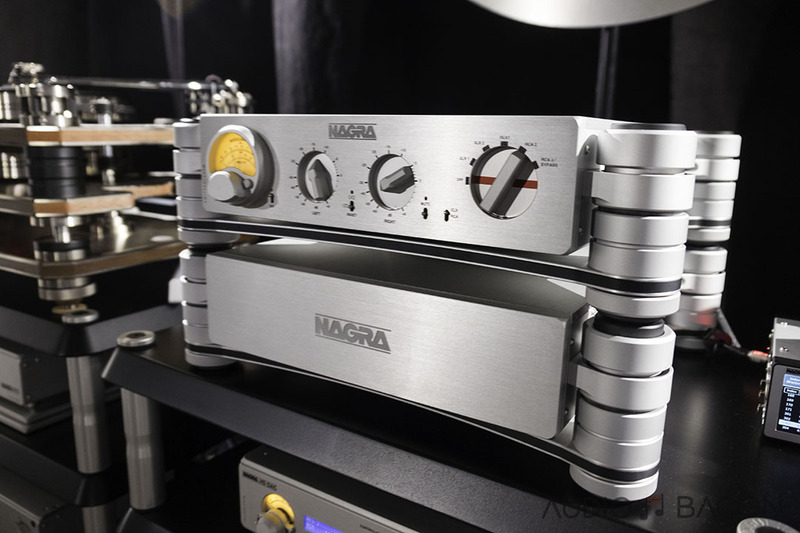 Congratulations to both Nagra and Wilson Audio for receiving our Best of Show award for RMAF 2017. Great post! Would love to read about any new entry level gear you found interesting. The Crosszone headphone did a great job with mimicking a 2-channel sound field, way better than any crossfeed. However, the sound quality was a bit off (smeared). I’m guessing it was due to the amp/dac/cables used for the demo. The Campfire stuff is really cool, great build and sound. Periodic’s Be IEM, Unique Melody’s flagships. As far as speakers, the Aurum Cantus and Spendor A4’s were an incredible value. The Elac sounds great as well. 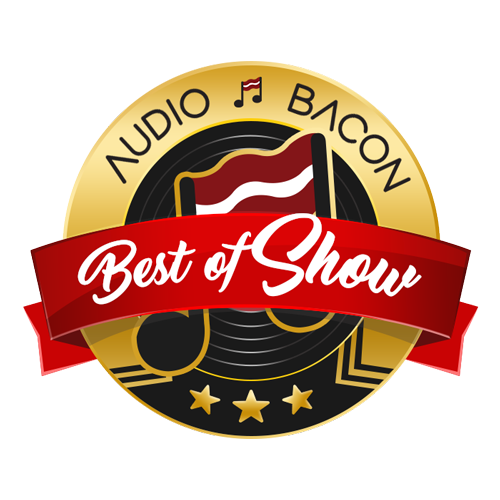 Thanks for visiting our room and for listing our system in your Best Sounds of Show. Just a quick correction. The TIDAL Akira speakers are $215,000 per pair in the standard Black finish. Thank you Doug. I’ve corrected it on both posts. You know, I’m laughing a bit! 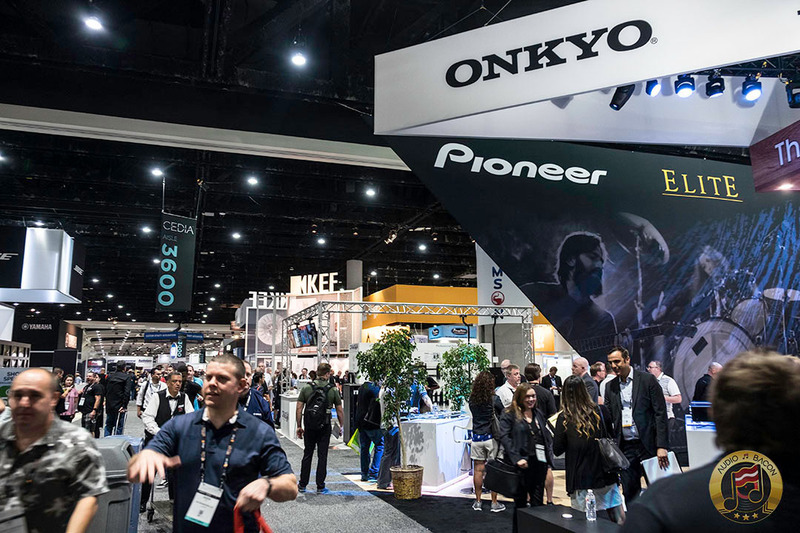 I thought we might get some flack for the way we set up the system 🙂 We wanted the visual attention to be on the Merging Technologies stack and the music that was coming through. The hope was folks would stay long enough to hear what was happening in the musical presentation as you did. So thanks for sticking it out.